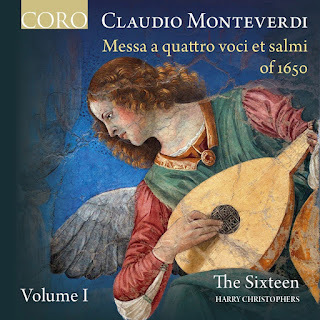 Having explored Monteverdi's Vespers of 1610 and Selva morale e Spirituale on disc, Harry Christophers and The Sixteen now turn their attention to the final collection of Monteverdi's music. 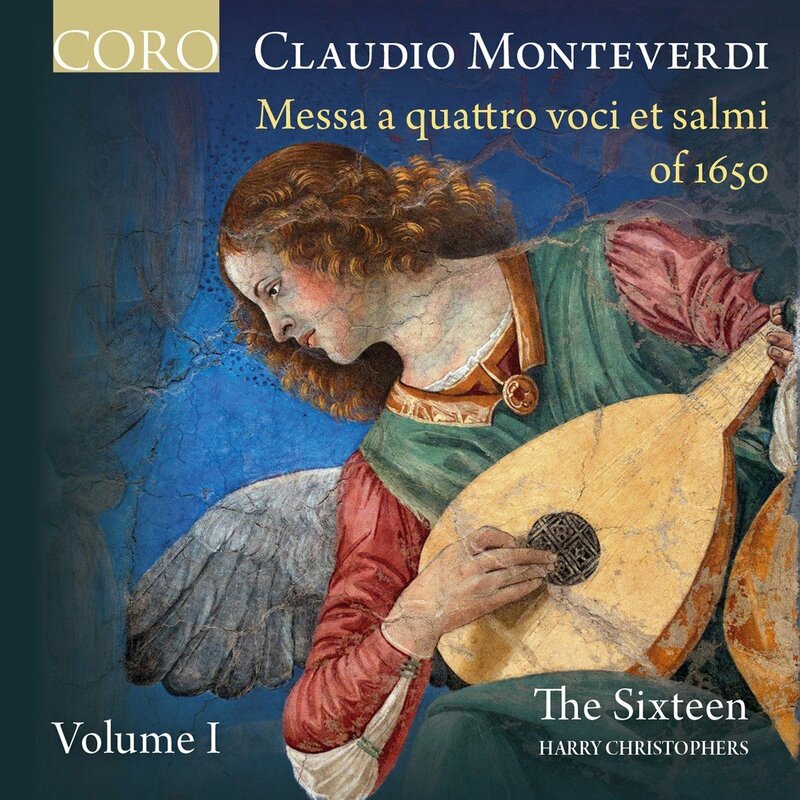 Messa a quattro voci e salmi of 1650 Volume 1 on the Coro label explores the music of the final, posthumous collection of Monteverdi's music, published in 1650. 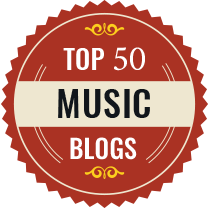 We get an attractive selection of works, Monteverdi's Dixit Dominus (Primo) a 8 SV191, Confitebor tibi Domine (secondo) due voci SV194, Lauda Jerusalem a 3 SV202, Laetatus sum a 5 SV199, Nisi Dominus a 3 SV200, Laudate pueri a 5 SV196 Laetaniae della Beata Vergine a 6 SV2014, Beatus vir a 7 SV195, and the Magnificat by Francesco Cavalli which concluded the collection. Ensembles like The Sixteen expect their choristers to be able to step out from the ensemble and take solo roles, music such as these motets by Monteverdi expect a high degree of flexibility from the singers. 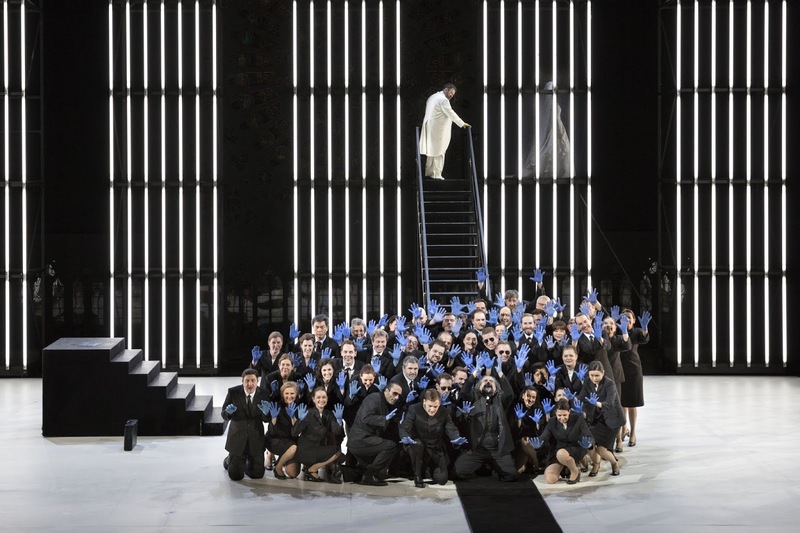 Individual roles can be solo, without the 19th century sense of a group of soloists separate from the choir. Here Harry Christophers uses his 18 singers with a great degree of flexibility so that we get items sung by two or by three voices, a double choir motet sung by just eight voices as well as the full choral effect of the 18 singers, all supported by two violins (Simon Jones and Andrea Jones), cello (Joseph Crouch), chitarrone (David Miller), harp (Frances Kelly) and organ/harpsichord (Alastair Ross). But what really counts on this disc is not so much the numbers, as the fact that all concerned perform with a sense of engaging vitality with a vibrantly communicative sense of the words. In his introduction in the CD booklet Harry Christophers talks about recitar contando (speak through singing) and all the works on the disc have the right sense of rhythmic vitality and exhilaration. The collection was assembled after Monteverdi's death, using manuscripts which seem to have come from Monteverdi's own library (perhaps preserved by his son) rather than St Mark's. They give us a chance to see Monteverdi at work so that the Dixit Dominus is clearly related to the one from Selva Morale. The one on this disc seems to be the simpler of the two and is probably the earlier. For double choir, we get an intimate performance with just eight singers. With a high degree of flexibility in the singing, this isn't a grand performance but it acknowledges the grandeur of the piece, with an appealing clarity and vitality in the individual lines. Confitebor tibi is for just two singers (plus instrumental players), Grace Davidson and Mark Dobell and the two combine an appealing interaction with a sense of the work's underlying dance rhythms. Jerusalem, sung by Jeremy Budd, George Pooley, and Jimmy Holliday, is similarly small scale in terms of resources, but it starts rather grandly and then hots up with some virtuoso roulades, and playful moments too. Monteverdi's pupil, Francesco Cavalli supplied the Magnificat which completed the publication and here sung by six voices. Though as responsive to the words as Monteverdi's pieces, Cavalli's writing is more lyrical with a greater sense of long-breathed phrases. With Laetatus sum we move to larger scale of performance, with 16 singers giving a lovely sense of waves of sound with Monteverdi's use of canonic material and imitation. There a feeling of the dance to the smaller scale Nisi Dominus, sung by Grace Davidson, Mark Dobell and Stuart Young, and the larger scale Laudate pueri sung highly communicatively by 16 singers. Laetaniae della Beata Vergine was something of a surprise as it starts not with the tutti (six part choir sung by 16 singers) but with a fine-grained solo group. Throughout the piece Monteverdi interacts the two groups but not in the obvious way, the tutti group does not simply sing the response after each line of the litany and the soloists are used in a variety of combinations of groups. The performers bring a more intimate and prayerful side to the music. The final item is Beatus Vir, written for similar forces to the well-known one in Selva Morale, this one is appealingly grateful. There is a sense of communicative vitality to all these performances, and a feeling that the singers are really enjoying themselves. 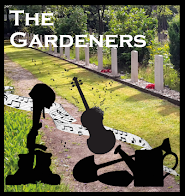 Overall there is the familiar feeling of clarity of line which comes with all performances by The Sixteen, and you feel that Harry Christophers and his performers do not really have an axe to grind, they simply want to communicate the wonder of this music.